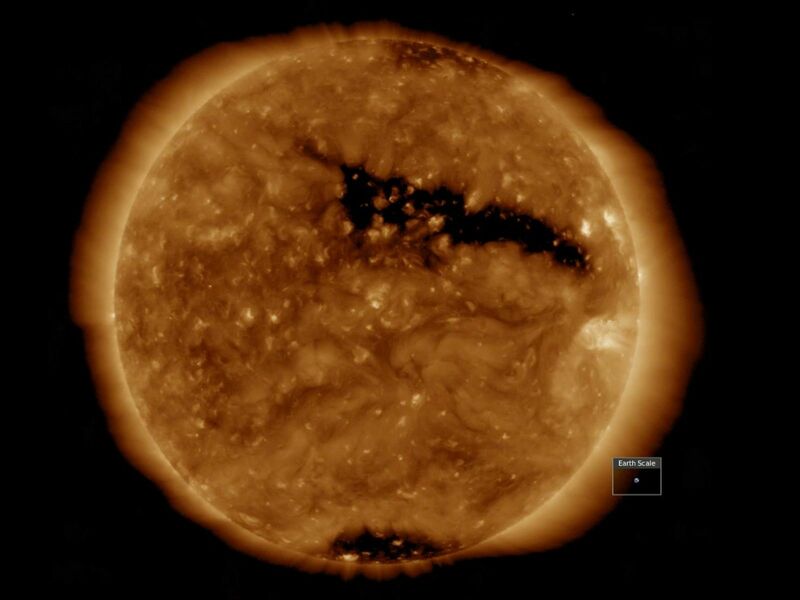 Over the past week, the single, largest feature on the sun was a long coronal hole that stretched out across more than half the diameter of the sun (Mar. 13-15, 2018). 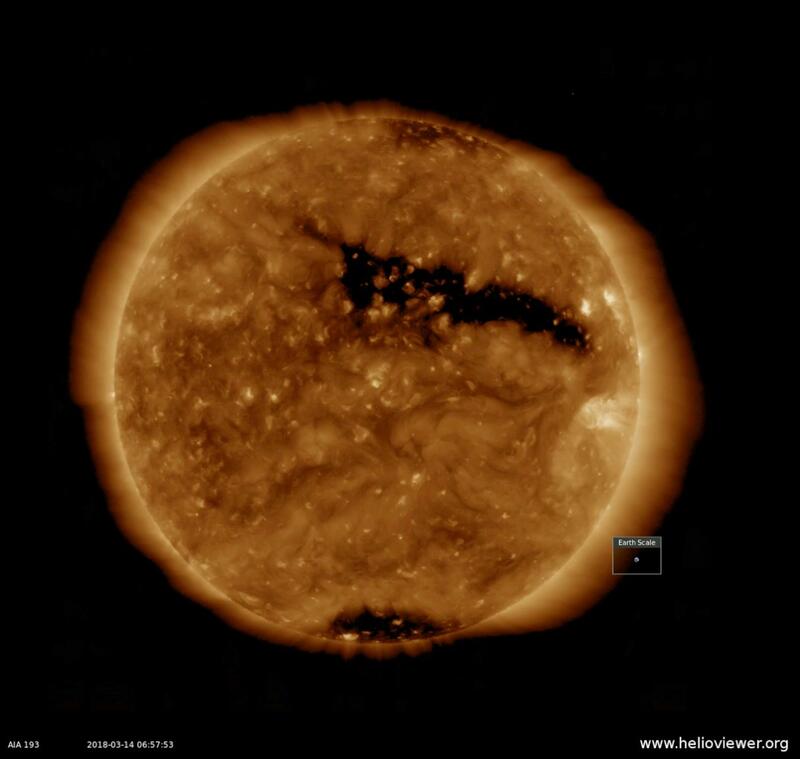 Coronal holes appear dark in certain wavelengths of extreme ultraviolet light like the one you see here. 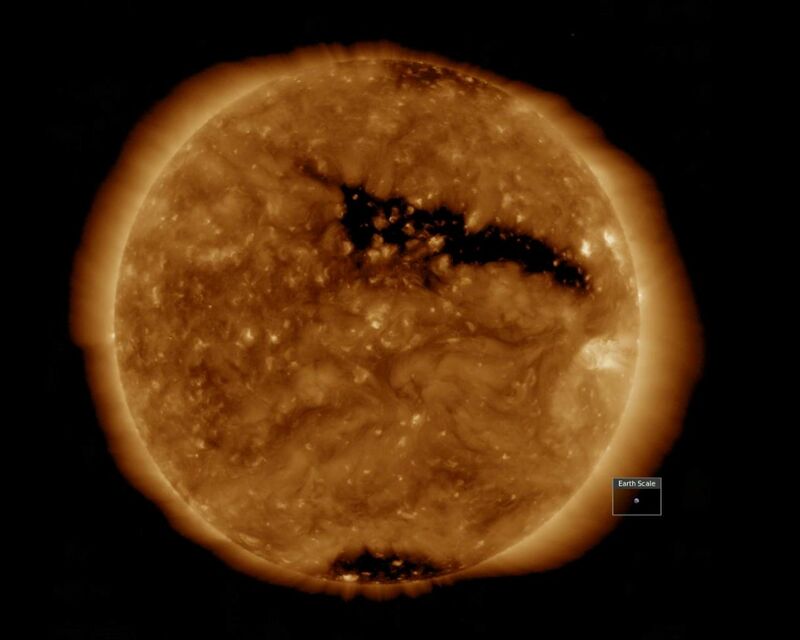 They are areas of open magnetic fields from which solar wind rushes out into space. 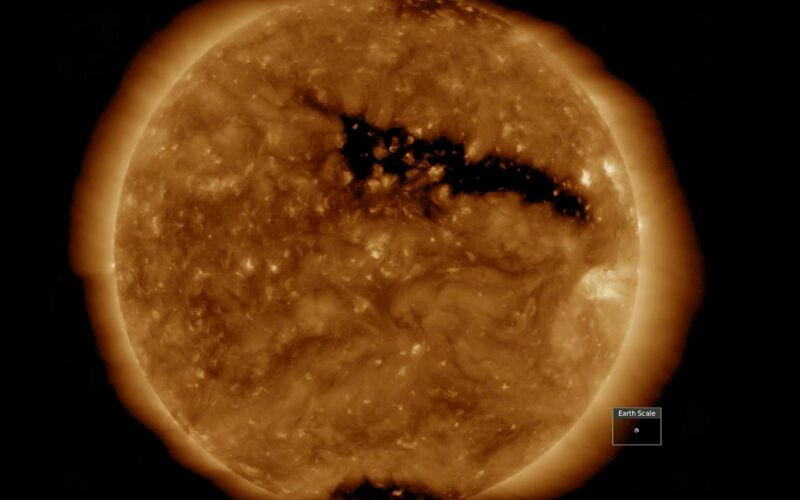 This area likely generated the beautiful aurora that were reportedly observed on March 14th in regions near Earth's poles. With the Earth set in the image to show scale, you get a good sense of just how extensive this hole is.